From Doris Lessing, winner of the Nobel Prize for Literature, this is the second instalment in the visionary novel cycle ‘Canopus in Argos: Archives’. 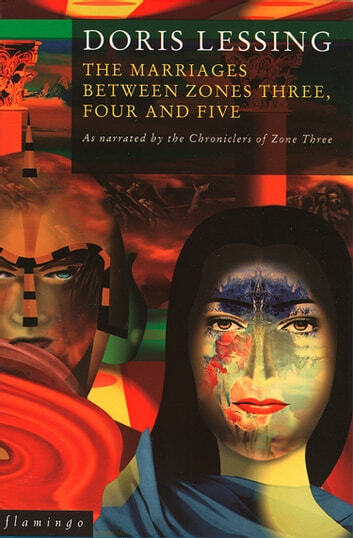 This is the story of the kindly Queen of Zone Three, who rules a land free of all harshness, and her forced marriage with the soldier-king of Zone Four, which is hierarchic, disciplined, inflexible, dutiful. This apparently difficult marriage, unwanted by both, requires a compromise between impulse and reason, between instinct and logic. Ben Ata learns to accept and then to love the ruler of Zone Three and her alien ways; and she learns to love and to need him. But when the Queen is commanded by the Providers to return to her own realm, she must obey, shattering though it is to leave her husband and child. Ben Ata, in turn, is ordered to marry the savage beauty who rules Zone Five, a land that both unites and reverses the other two Zones. In ‘The Marriages …’ Doris Lessing uses science-fiction brilliantly to investigate the conflict between men and women. Once again, invented planets allow her to deploy her unillusioned knowledge of the real world of the reader.